In short, the place of the home as a still point amid the noise, a place to restore and replenish, will become ever more vital. More so than ever will it be less an externally facing show-space than an acutely personal place for reflection, retreat and a degree of introspection. The idea of wellbeing coming home was referred to at some length in Part One, and its active realisation on the home front will be multi-faceted: the private zones of the home, bedrooms and bathrooms, will become the focus of attention as the business surrounding sleep explodes; the use of everything from plants to paint (Check out niche brands like Airlite), to combat pollution will soar; and in a pragmatic response, every shade of green will grow in popularity on the paint charts of lust as urban dwellers try to recreate a sense of interior solace by any means possible — green being the soothing salve of the spectrum. These will be the accessible, affordable ways for everyone to make a daily difference to their lives. And it’s precisely what we need after a year in which even the Oxford Dictionary determined ‘toxic’ was the word that best captured the “ethos, mood and preoccupations” of 2018. Besides, we can only be the proactive author of a rewarding personal script if we take full responsibility for how we treat ourselves and our individual environments, and then we can go on to save the planet. The things that we touch everyday can add joy to our lives and emotional value to our environments. As such, despite the intensity of our digital age, we still instinctively acknowledge the power of touch and increasingly crave it at home. Why? Because we are physical, sensory beings with a primal need to surround ourselves with surfaces that thrill our fingertips or tempt our toes. In fact, tactile stimulation, whether being hugged or stroking a pet, triggers oxytocin, the love hormone; it also lowers cortisol levels, reducing anxiety and stress. It is the language of compassion, helping us bond and connect with others. After all, even when we talk of sending a text or email, we refer to it as ‘keeping in touch’! As such, enhanced tactility at home is no superficial conceit, especially when our working days today are spent umbilically-connected to the super-smooth screens of our phones, tablets or laptops. The need to be re-connected IRL via touch to our sensory physicality has never been more important for our collective sanity. But while we may gaze upon images of nature and be calmed, when it comes to touch, we must experience it, not simply look from afar. 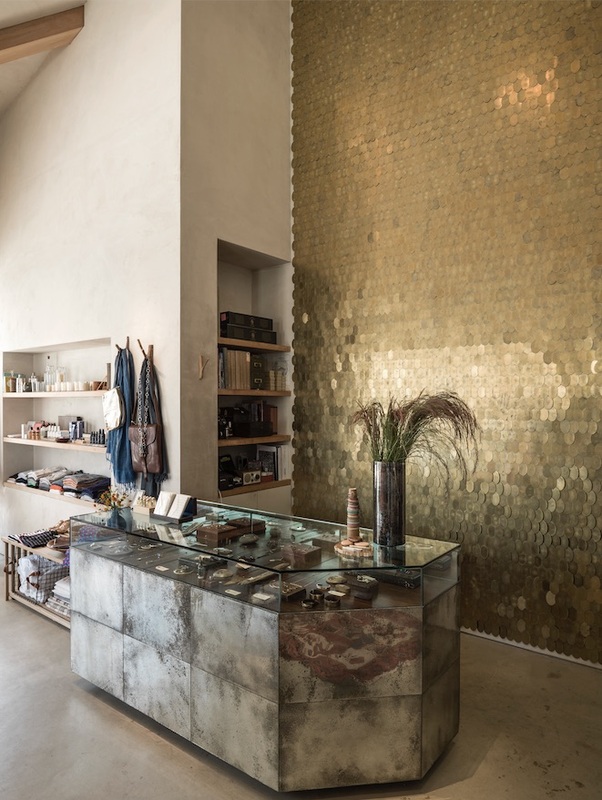 Marble, stone, ceramic and porcelain — for handmade tiles to accessories — will continue to be popular too as they reference the natural world, as well as being intrinsically textural. 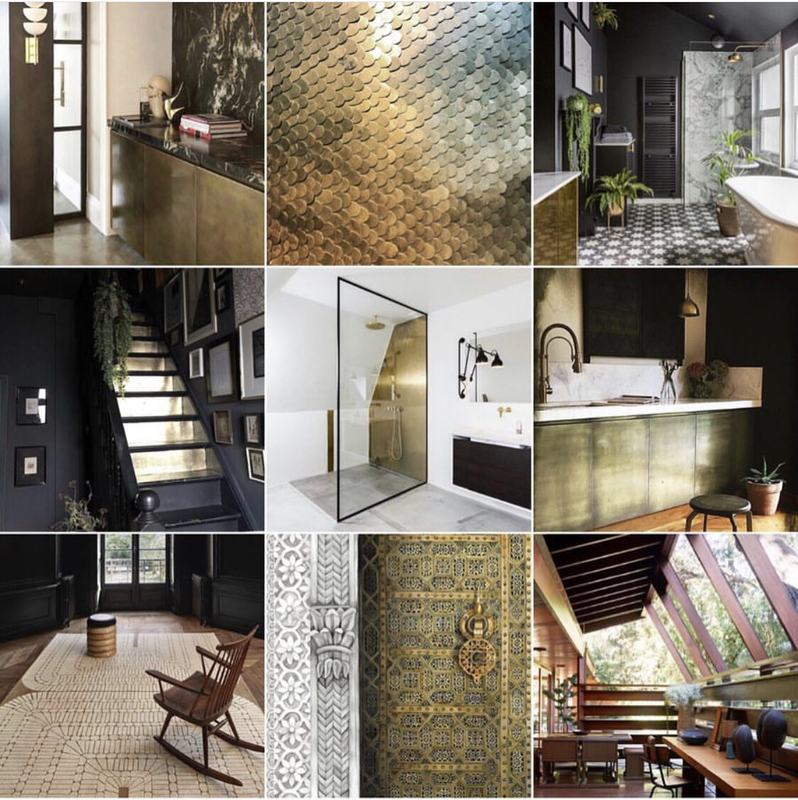 Finishes like brass, admired for its ability to patinate, will replace glossy lacquers for everything from kitchen cupboard fronts to wall treatments and furniture. Also, natural finish, non-exotic woods will return to centre stage for just about everything, representative as they are of the ultimate in ‘honest’ materials. 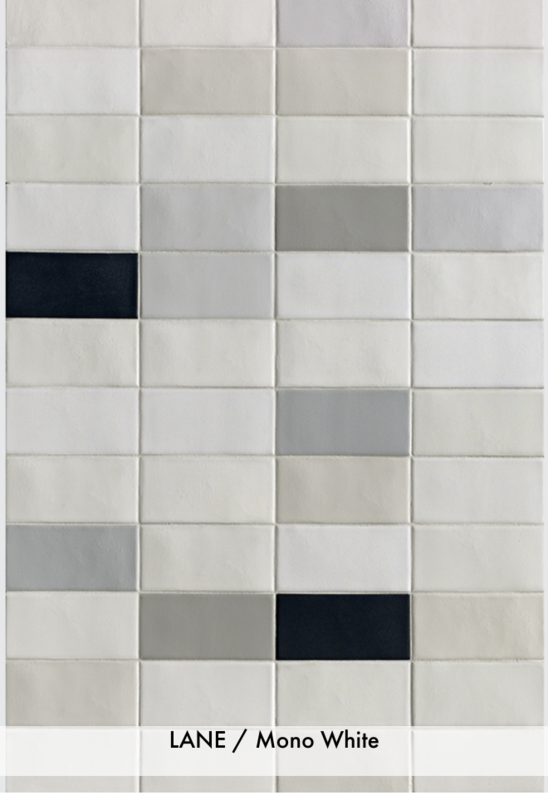 The ‘Lane’ collection of glazed porcelain tiles from Mutina, designed by Barber Osgerby, and inspired by the varied tones of London. 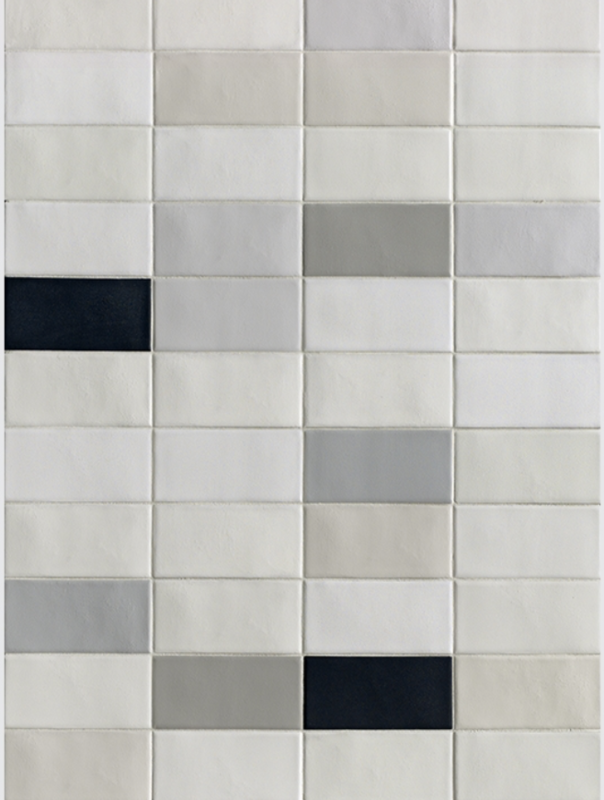 Available in several different mixes and colourways from white, black and grey to aubergine and terracotta. 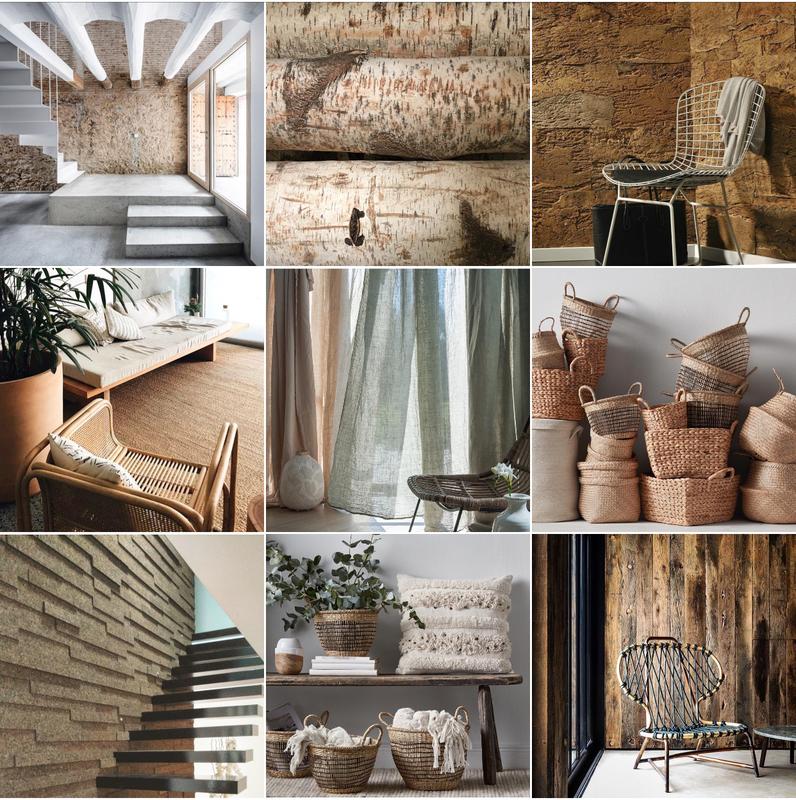 Directly related to this will be an increase in what I’ve previously dubbed ‘povera’ materials: hitherto perceived as humble, rattan, jute, cork, plywood, sisal and hemp will be employed by master designers as if they are haute materials. In other words, rather than being looked down on as being too lowly to be considered beautiful, their inherent texture, authenticity and tactility will be newly celebrated. (See here for my Top Ten pieces to get you reconsidering rattan et al). On the one hand this is just smart. It taps into a hugely under-utilised material toolbox and gives designers an updated palette to play with. But on the other, and perhaps more importantly in this new era of accountability, it acknowledges important ecological concerns about sustainability, as well as overtly championing the hand of the maker. And this is crucial because the increasingly sophisticated UK consumer is ever more careful today in what they buy. In terms of design, this move towards the ‘real’, heralds the revival of classic but utilitarian (aka humble) furniture pieces, from Victorian (yes, really, brown furniture!) to 50s G-plan, alongside the more obvious revisiting of old-fashioned glassware for food and drink storage as plastic is further ostracised too. 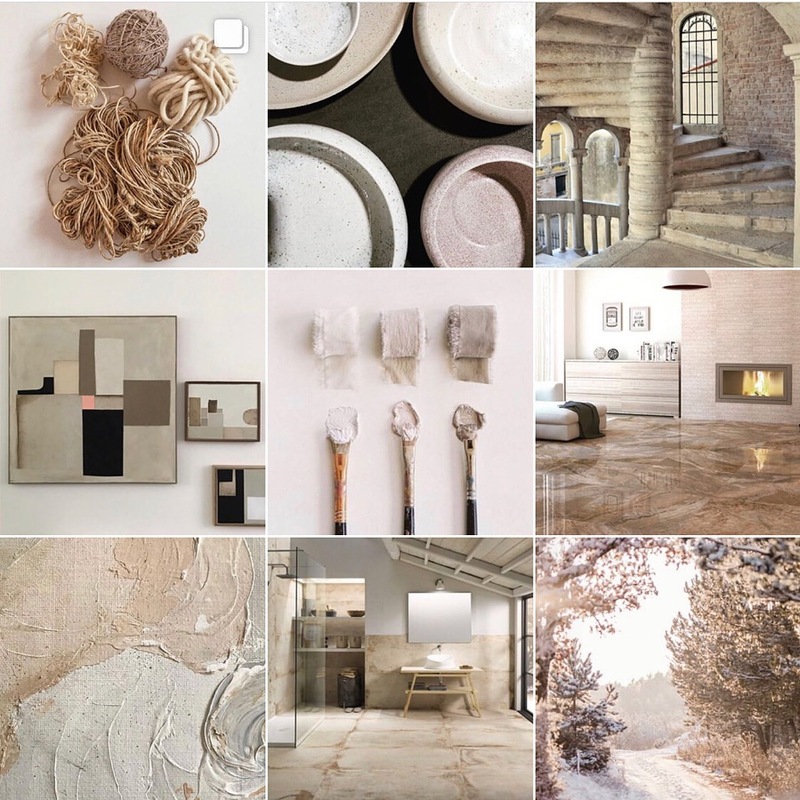 And if we pull all of the textures and materials, a sense of heritage and the nascent adoption of colour together, it adds up to a look I’d describe as ‘Soft Scandi’; a warmed-up version of that perennial Instagram favourite style. However, where Scandinavian cool typically connotes pristine perfect black, white and pale wood backdrops with a smudge of oh-so-stylish grey and perhaps a few sheepskins, now imagine this seductive simplicity loaded up with extra-added tactility, imperfection and a warm flush of colour — like the light that bathes a room at sunset — and it suddenly gets a lot more interesting, not to mention attainable and friendly. 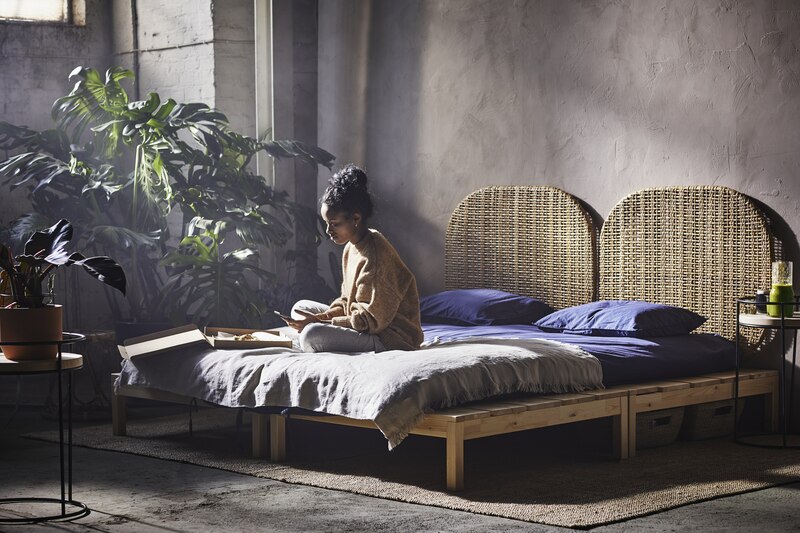 IKEA embraces the wellbeing mood of the moment with rattan headboards and yoga mats in its limited-edition Hjartelig collection. 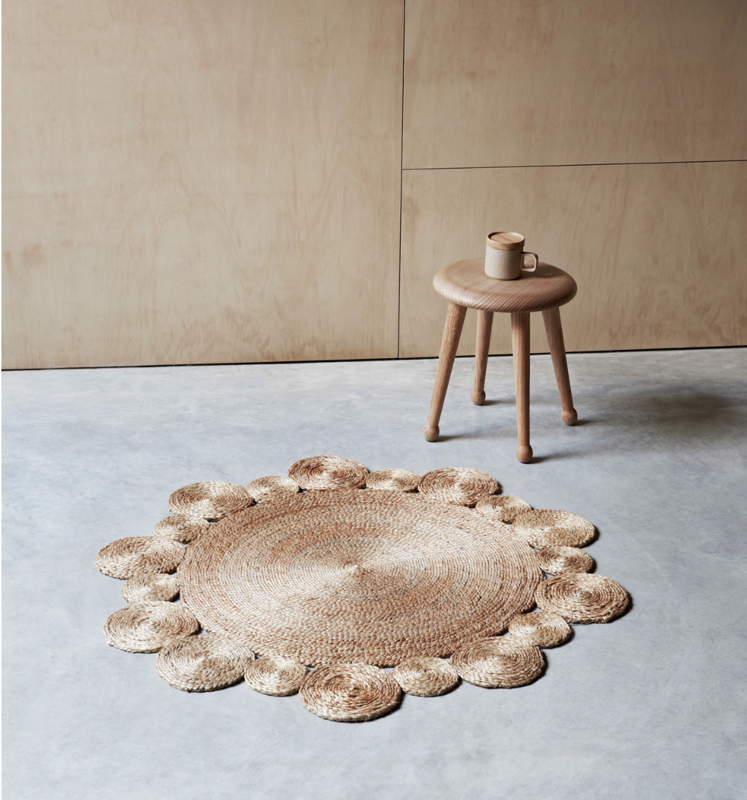 By employing hemp for our rugs and curtains, cork on our walls, and plywood, wicker and jute for our furniture and finishes, plus a flexibility on colour, it’s all more liveable, and forgiving. Again, it feels real, not just for the cameras. It’s also emblematic of a lifestyle that emphasises uncomplicated comfort. It is a physical iteration of the Danish hygge movement that so captured consumer attention when it first hit the headlines back in 2016 — essentially summarised as, love your home and get cosy; candles mandatory. 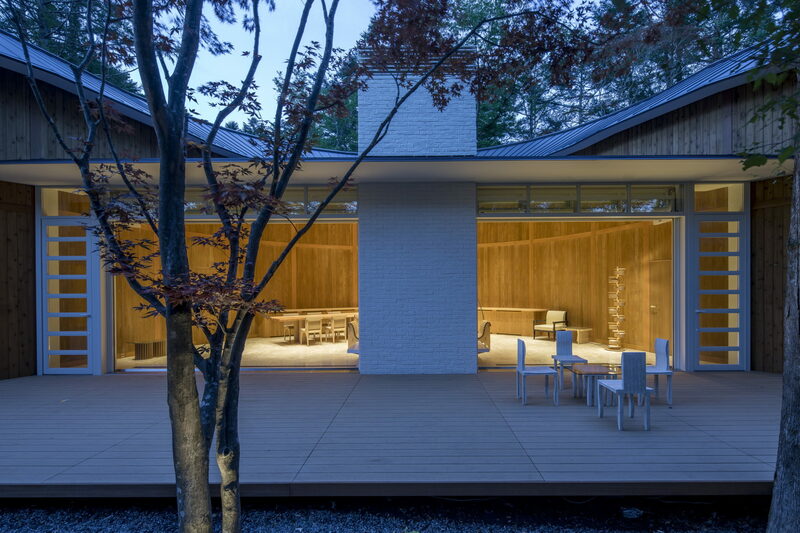 Nevertheless, I maintain that the actual aesthetic of Soft Scandi is more about a layering of influences rather than a singular look; for example, I believe it’s epitomised by the recently inaugurated Shishi-Iwa house, as seen below, designed by Japanese architect Shigeru Ban. 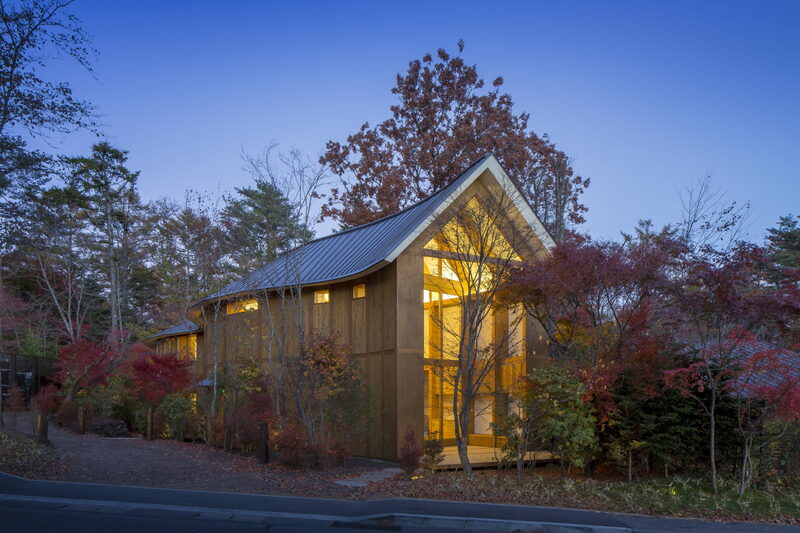 A 10-room ‘restorative retreat’ in Karuizawa, Japan, it was inspired by a desire to combine architecture with the essence of the natural world with the aim of being “a place to reflect and restore energy, and in turn spark new ways of thinking for guests”. The press release continues, “Encouraging both private and social experiences, the property showcases a seamless flow of spaces designed with unique humanistic qualities, where each Guest Room is a meditative retreat in itself. Noted for the use of cardboard in his designs, Shigeru Ban has fitted out the bedrooms and public spaces with timber and paper tube elements for a unique interior ambiance.” And fittingly, alongside his own designs, the architect selected furniture by Alvar Aalto. So, whether we see it as a sort of Crafted Modern, or simply new-with-integrity, it’s about the appreciation of a true creative process built upon a platform of heritage and expertise. Again, what’s striking to me is what I see as the cross-sector proliferation of this kind of approach. I feel it’s evidenced today even in music with a popular return to narrative songs underscored by strong Country/Nashville influences — consider perhaps the recent hits from Miley Cyrus with Mark Ronson (‘Nothing Breaks like a Heart’) and Kylie Minogue with Jack Savoretti (‘Music’s too sad without you’)? 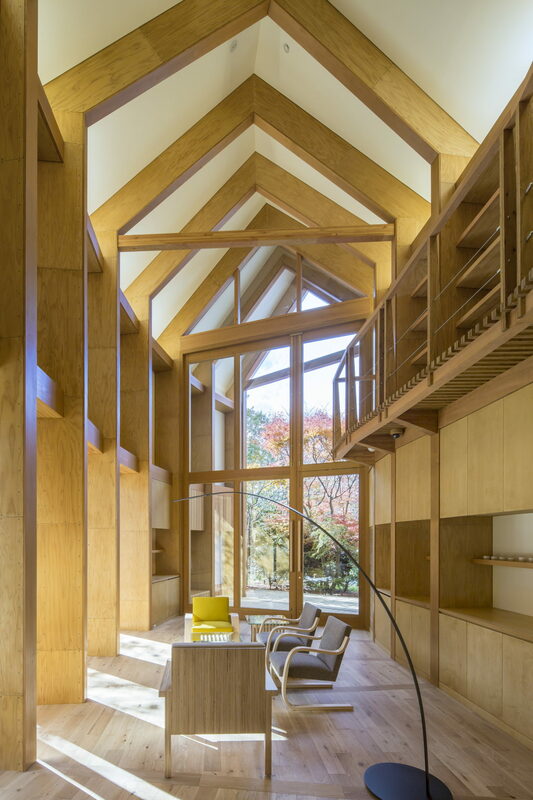 Shishi-Iwa house, designed by Pritzker Prize winning Japanese architect Shigeru Ban, in Karuizawa, Japan. A 10-room boutique resort conceived as a restorative retreat that reinforces the relationship between nature, architecture and human connection. The library of Shishi-Iwa house, designed by the Pritzker Prize winning Japanese architect Shigeru Ban, in Karuizawa, Japan. A 10-room boutique resort conceived as a restorative retreat that reinforces the relationship between nature, architecture and human connection. One step on again and we have as the bigger picture a wholesale re-evaluation of Eco, a term which used to mean scratchy fabrics and wobbly pots that frankly should have been lobbed straight into the recycling bin. As for ecological homes, well that just meant houses built of straw and compost toilets didn’t it? But no more! Local authorities and smart early adopters around the UK, in a bid to create healthier homes for the future, are embracing eco building from PassivHaus models to fabric first approaches to building (shorthand for lots of insulation, read more here from Self-Build magazine). Why? Because building this way is good for you, good for the future of the planet, and most importantly, the external architecture is getting a lot sexier too as well as being increasingly cost effective for the long term. And there are immediate homeowner dividends too: comfortable internal temperatures whatever the weather, improved air quality, quieter homes so you sleep better, and bills that are on average 90% lower than average. By outlier I mean one trend that may come to nothing, but it’s a bubbling-up look that I’ve seen rendered with such conviction that I feel it demands closer inspection. And this year, it’s something I’m calling Modern Primitive. 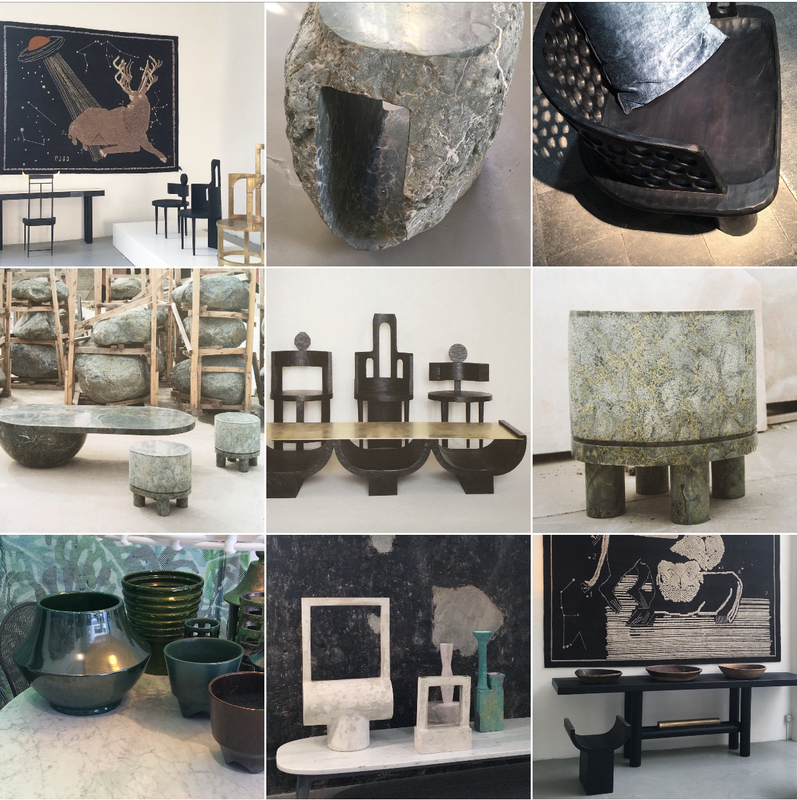 Imagine pieces with a sort of anti-slick reductive robustness: a rough hewing of stone and a chunky chopping of timber that sings of its hand-craftiness. It is the innocent savant of design. The ultimate jettisoning of the polished look that had come to symbolise ‘design’, if you will, but in a different way to that of Posh Povera. Where that’s about maintaining the polish but experimenting with a new set of materials, this is a more forceful rejection. And while a whole room furnished this way might reference more Flintstones than finesse, a few key pieces in a scheme from this genre would add some serious clout. 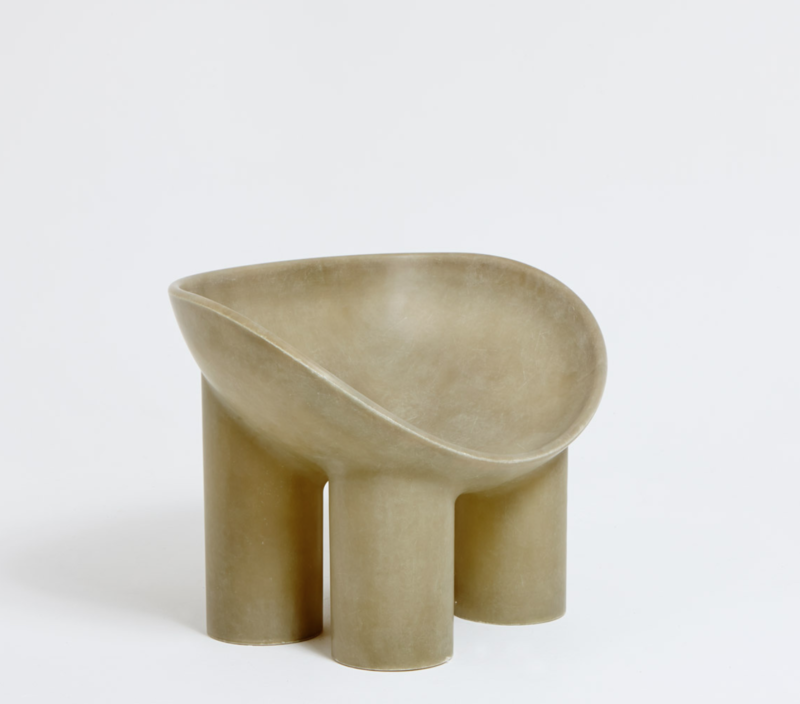 The ‘Roly Poly’ chair by Faye Toogood. A proponent of what I’ve dubbed the Modern Primitive movement. 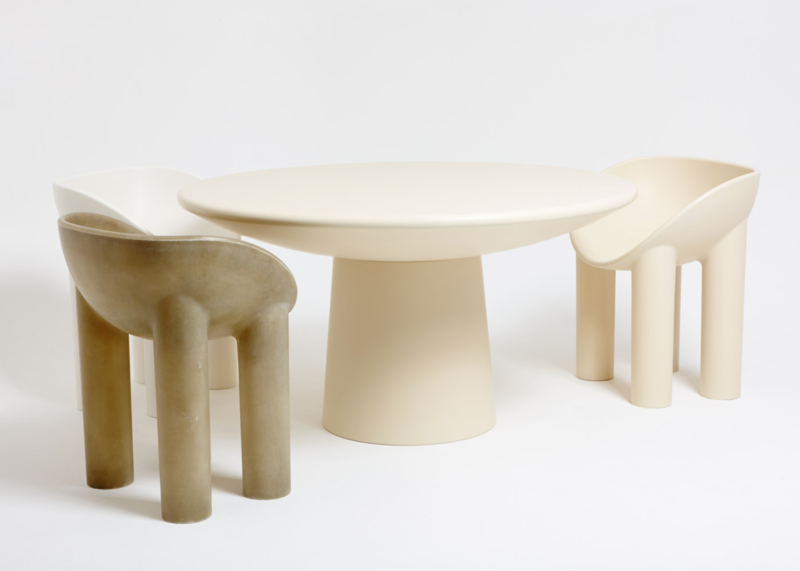 The ‘Roly Poly’ dining chair and table by Faye Toogood. A proponent of what I’ve dubbed the Modern Primitive movement. Notable proponents would be the Tbilisi-based Interior and Product Design studio, Rooms, founded by Georgia-natives Nata Janberidze and Keti Toloraia; alongside select pieces from British creative Faye Toogood, or the Italian brands Gervasoni and Baxter, the latter both art-directed by the ever-forward-thinking Paola Navone. From afar they may seem unduly rough and a bit unseemly (hence the Primitive) but close up, the details surprise (hence Modern). They are a bit like the sort of paintings that you always hear someone say, “What, my kid could have done that!” which is to belie the thought processes behind the creation and the sophistication of the application. To put it another way, they appear simple, which resonates with our craving for truth and authenticity, but there’s another level to them which satisfies our need for a story. First seen in Milan last year, definitely one to watch. Interesting to note too that the Italian brand Driade has been quick to pick up Faye, already producing her Roly Poly chair, which she debuted a few years back, in an upholstered version. Take a peek here. 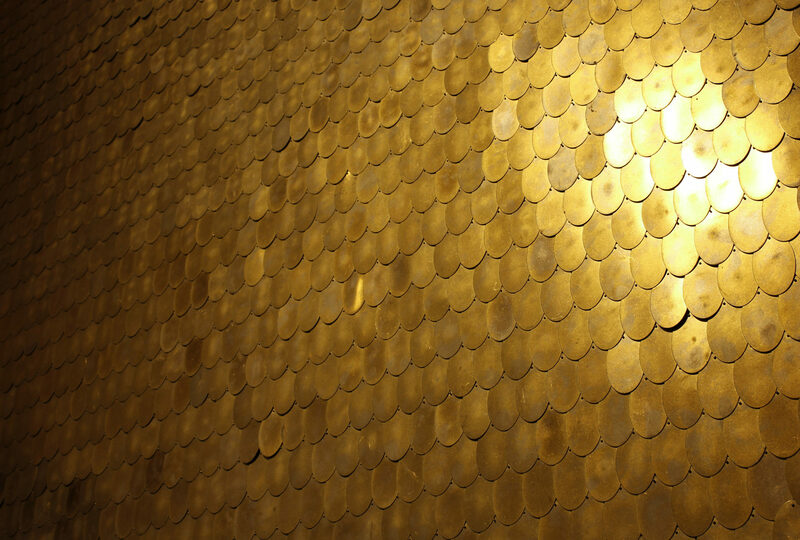 Brass ‘sequin’ tiles from the Shimmer Collection designed by Erica Tanov for Clé. Shown with a Roly Poly chair by Faye Toogood. And finally, In times of such complexity I believe it’s nigh on impossible to present a single hue as emblematic for the year ahead. I was quite damning of Pantone’s Living Coral as its 2019 proposal, and neither did I much like Dulux’s somewhat passive and anodyne Spiced Honey. 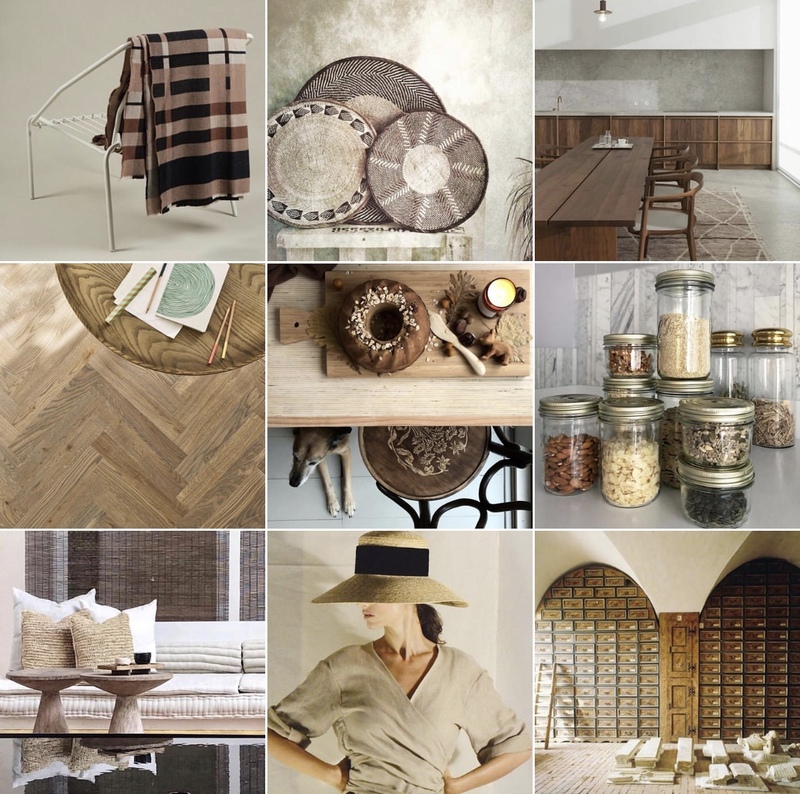 Many are suggesting that beige will be the shade for 2019. This I resoundly reject. In such times as now, to revert to a flat nondescript hue like beige is like taking the oblivion option, the head in the sand it’s-nothing-to-do-with-me path. It speaks only of conformity, ubiquity and non-choice. 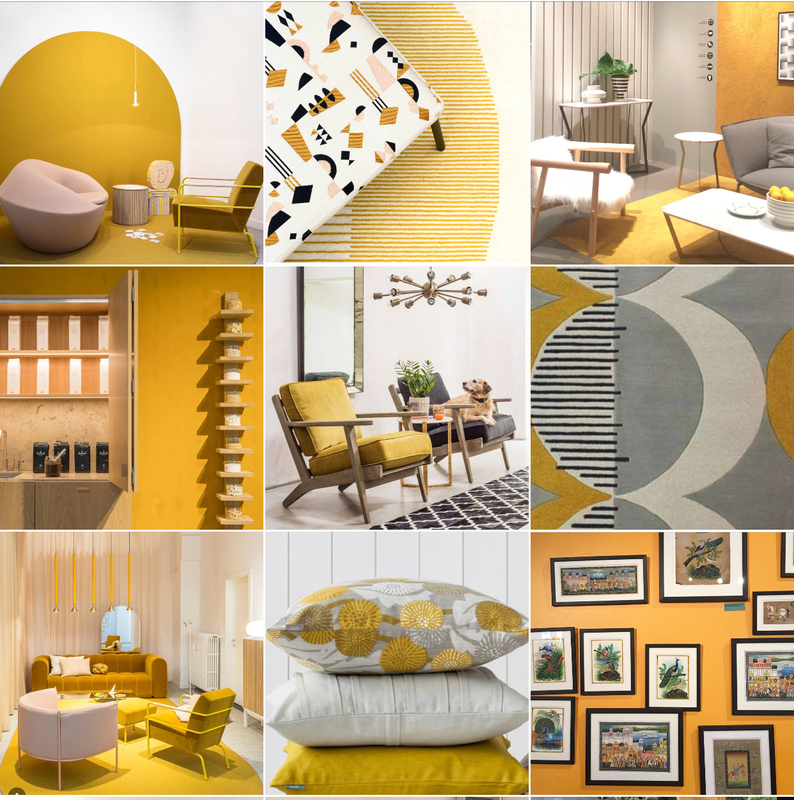 The only possible nod to this hue is that it’s linked tangentially to the natural shades of the materials lauded previously, but then these are super-loaded and loved for their intrinsic texture, not applauded for their colour alone. So that’s that. Instead, I’d like to suggest an accent colour. A shade that confers a touch of heat to anything it touches, namely, the piquant and tangy mustard. A colour too that I’ve been banging on about since last year’s Milan furniture fair! But now it’s coming out of the shadows and set to hit the mainstream at full force. 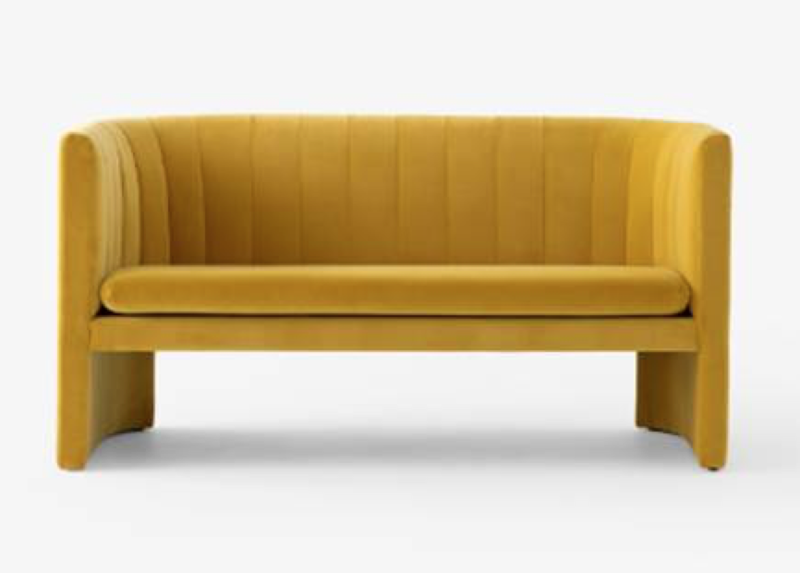 Loafer sofa in mustard yellow by Space Copenhagen for &Tradition. A brand new 2-seater version of the lounge chair they developed for the renovation of Arne Jacobsen’s iconic SAS Royal Hotel. Caveat: use it consistently. 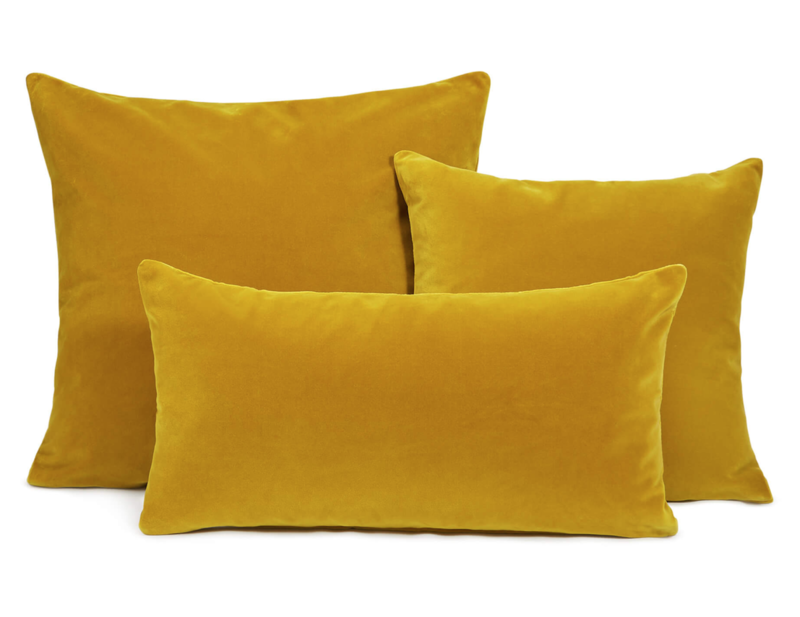 A single cushion in an otherwise quiet room will just look odd. You need to be confident in its employ to add depth and deliciousness. 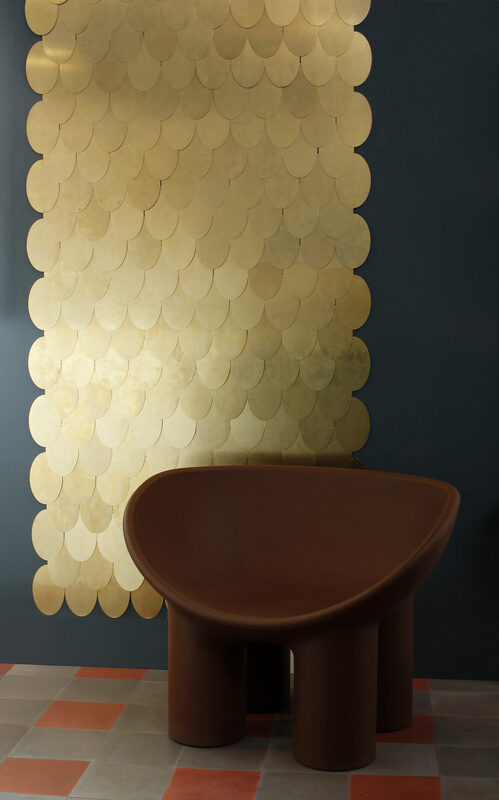 As such, twin cumin-coloured accessories with a wall in a statement shaded paper or a star piece of furniture. The point is, use enough to add a deliberate flavour. I also propose mustard as a sort of colour trope of hope. Think of it as the equivalent of the proverbial kick up the backside in what will inevitably be a profoundly pivotal year. For if combined within environments that not only reconnect us to our essential humanity but also enable us to be our best selves, we might just have a second chance.